New Delhi: Reliance Industries has sent an arbitration notice to the oil ministry over the move to disallow some of the expenditure the Mukesh Ambani-led firm has made in the KG-D6 gas fields as punishment for falling output. In the arbitration notice, Reliance stated that the move to limit the amount of expenditure the company can recoup from its flagging KG-D6 fields is illegal and outside the Production Sharing Contract (PSC), sources privy to the development said. The ministry was moving toward restricting cost-recovery — now at 100% — in proportion to gas output from the KG-D6 fields. Its top officials and the upstream regulator, the Directorate General of Hydrocarbons (DGH), were discussing the amount they should disallow as expenditure and a notice was to be set to RIL soon. The notice asks the oil ministry to appoint arbitrators to decide on the issue. Reliance has built facilities to handle 80 million cubic metres per day of gas production, but the fields are producing just about 41 mmcmd due to a fall in pressure and water ingress. Production Sharing Contracts (PSC) allow operators to recover 100% of their exploration and production costs and do not link cost-recovery to output. 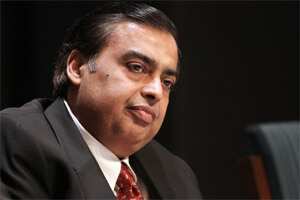 Reliance had envisaged a gas output of 80 mmcmd by 2012 from an investment of $8.8 billion. However, current output is about half of the target and RIL has so far invested only $5.8 billion. The oil ministry wants to “disallow expenditure incurred in constructing production/processing facilities at the Dhirubhai-1 and 3 gas (D1 & D3) fields in the KG-D6 block that are currently under-utilised/have excess capacity because of falling output". Sources said three arbitrators are to be appointed to decide on the issue. The oil ministry and RIL would suggest the names of one arbitrator each, while there would also be a third judge appointed. Falling pressure and water incursion have brought down output from the D-1 and D-3 fields in the Bay of Bengal from 54 mmcmd in March, 2010, to 34.14 mmcmd now, as opposed to the targeted 61.88 mmcmd. A further 6.92 mmcmd comes from the MA oilfield in the same licence area.